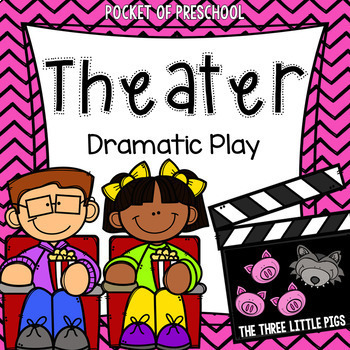 Fairy Tale Theater Dramatic Play is a fun theme you can do in your pretend or dramatic play center during a fairy tale theme or author study. 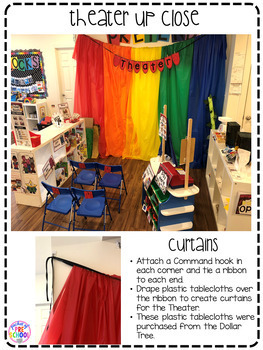 There are labels and real classroom photos showing how to set up your theater in your dramatic play center. Just print the labels, signs, and make the props. 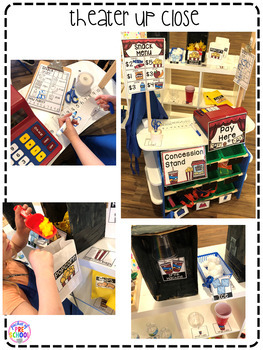 This theme integrates social, math, language, literacy, math, and fine motor all into their play! 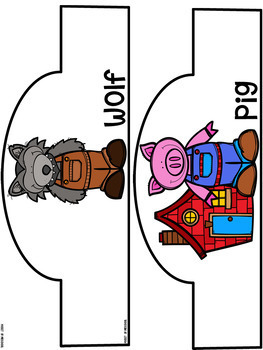 This is a theme/unit designed for a preschool, pre-k, or kindergarten classroom. Up Close Classroom Photographs of the Fairy Tale Theater in Action! Check out more DRAMATIC PLAY sets!